With skirts still super hot from a trend point of view I thought it was time to take a look at what’s out there. 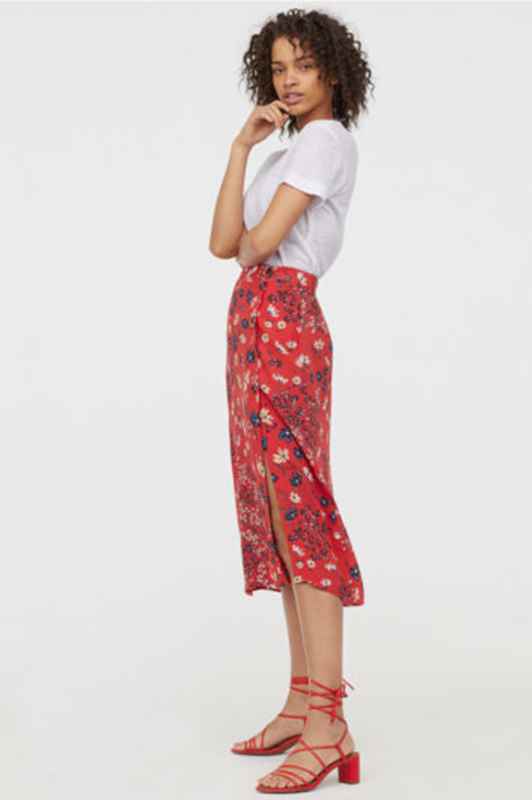 While last season was dominated by pleated skirts, this spring there is a lot more choice with bias styles and A-lines added into the mix. 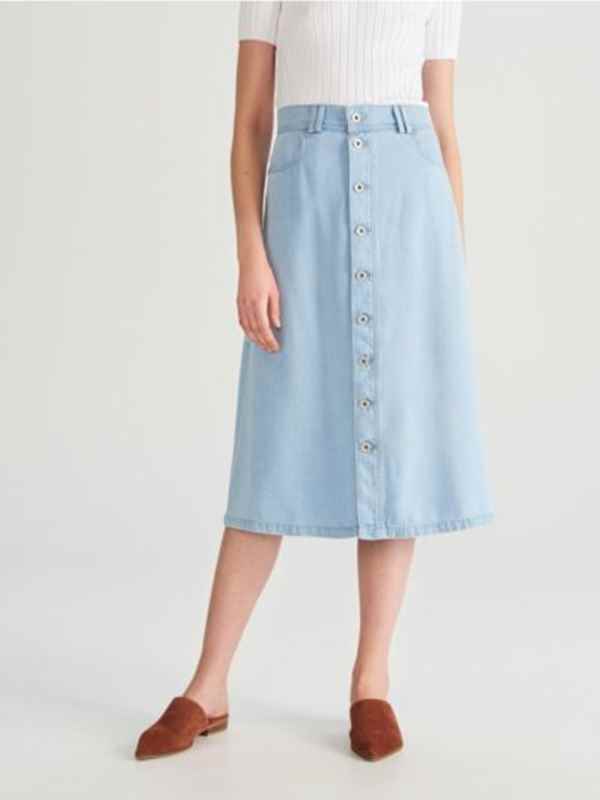 In fact, these midi length A-line numbers are by far the most flattering – they don’t add width like some pleated styles and they are an easier wear than a satin bias skirt. This is a very flattering little number indeed and in this season’s super hot zebra print. Or there is this total look-a-like for less! This is a good animal print if you don’t want anything too obviously animal-y. Its already out of stock in sizes 8 and 10. Another slightly more subtle animal print in a more muted colourway. Can’t say I am digging the styling here but pop on a fitted sweater, boots and leather jacket and you are sorted for now or a black tee (tucked in at the front) and sandals are you are sorted for summer. This is a great option for holidays and also comes with a matching cami so you can create a co-ord set. There are lots of spots around so make yours a bright this summer. Or if you prefer something a bit more understated, go navy. The splits make this anything but granny. 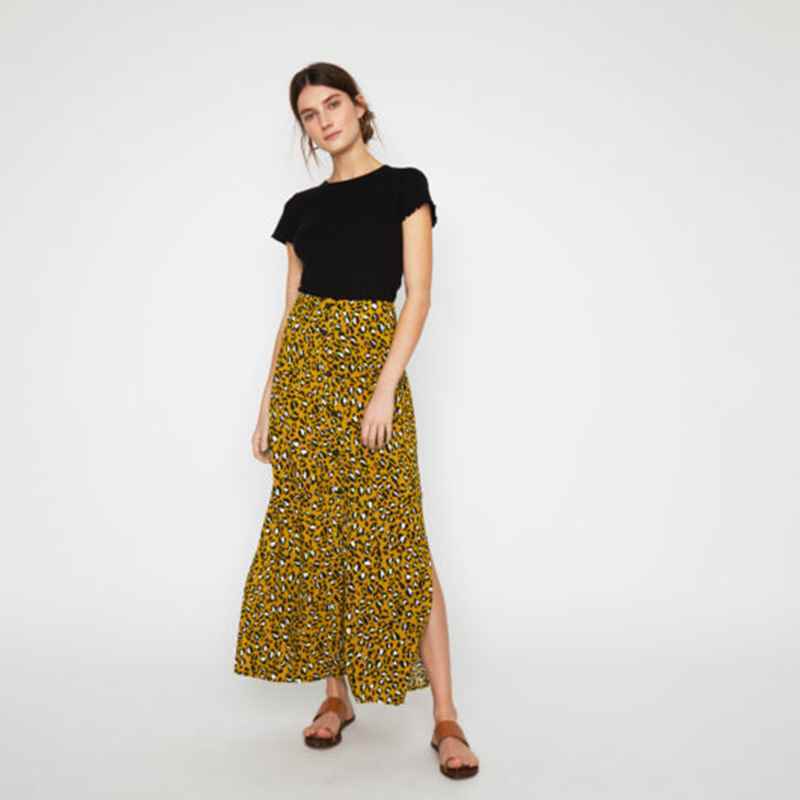 This is a good option to wear for work if the prints don’t quite cut the mustard on the office floor. It comes in black as well as the beige and swap the casual cami for a knit fitted sweater, shirt or blouse. Do the top to toe tonal dressing in all neutrals or a splash of burnt orange. A good casual option with a tee and trainers or sandals. 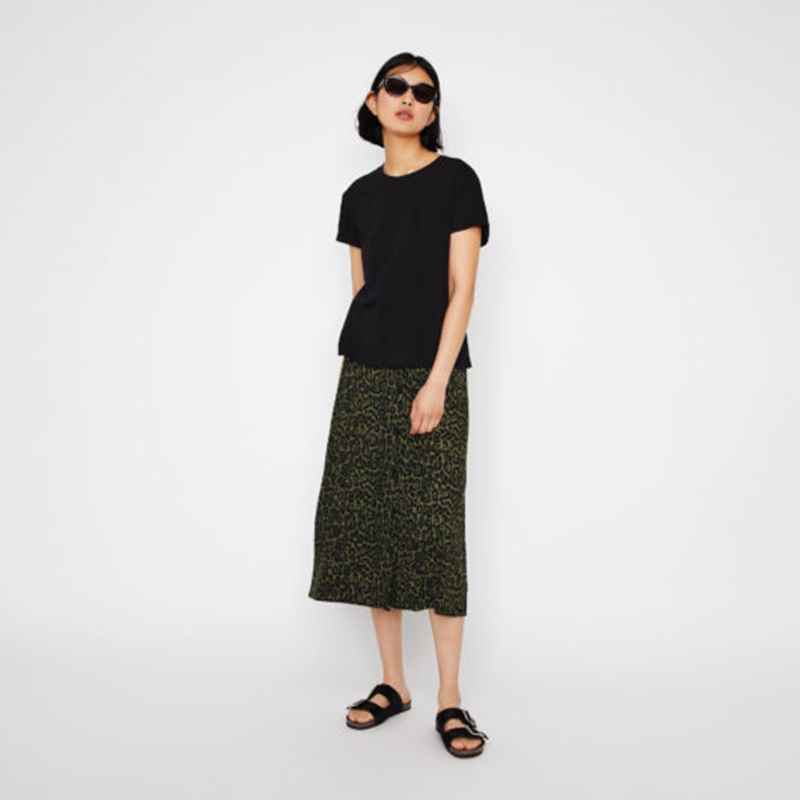 Having done a lot of shopping with clients over the past month, these skirts are super flattering for all shapes and sizes so wear yours today with boots, a knit a leather jacket and then swap for a tee and trainers or sandals when the warm weather appears.